CONCACAF, the Caribbean, Central and North American Confederation made their draw well ahead of the Asians, even though they were starting some two weeks later. Even when making the draw in January, they used the August 2014 FIFA rankings for seeding, allowing for many changes before the matches take place. The numbers shown in brackets are the seeds at February 2015, while I have underlined the seven seeds in the draw. This shows how small changes can affect things, as if the draw was made on current seedings, three of the fourteen would have received a bye. The matches are being played over a nine day period, starting at 23.00 (UK time) on 22 March in Barbados, and finishing on 1st April, after a 23.30 kick off (again UK time) on 31st March in Montserrat. SO we begin in the former British colony of Barbados, independent since 1966 and home to a little over a quarter of a million. They have a long footballing history, starting way back in 1929 with a series of three games (all at home) to Trinidad & Tobago over a five day period. All three were won. Still it was friendly matches only for nearly 50 years. Before their first appearance in the World Cup, they had appeared in Olympic Qualifiers, and once in the Central American and Caribbean games. Playing two years ahead of the 1978 finals, Barbados started with a two legged game against Trinidad & Tobago, winning the home leg 2-1. After falling 1-0 in the away leg (and without an away goals rule at the time), they got home advantage for the play-off, but still went down 3-1. They then did not play in the next three tournaments, although they were in the 1986 draw, withdrawing without playing Costa Rica. When they did play again, it was Trinidad & Tobago again. This time they lost both legs. It must therefore have been a relief to play Dominica in the first round four years later. Goals from Roger Proverbs (away) and Gregory Goodridge (home) meant they won each leg by 1-0, and got to play Jamaica a month late. This time both games were lost. In the 2002 World Cup, they had to face three knock out rounds, but successfully passed through ahead of Grenada, Aruba and Cuba. This gave them group matches against USA, Costa Rica and Guatemala – with a home win over Costa Rica, but five defeats in other games. After 12 games in one qualifying series, Barbados only played 12 over the next three – just two ahead of 2006, St. Kitts and Nevis beating them twice, Dominica again proved easier before the 2010 World Cup with Barbados winning 2-1 on aggregate before losing 9-0 over two legs to the USA. Last time out they escaped having to play a knock out round, but lost all six matches in a group also involving Bermuda, Trinidad & Tobago and Guyana. AT the same stage, the US Virgin Islands also lost six games, their opponents were Curacao, Haiti and Antigua and Barbuda. The USVI had not been exempt from the first round, and had beaten the British Virgin Islands in both legs of the first round games. The US Virgin Islands lie just to the west of their British Counterparts, and are not an independent territory, but a territory of the USA. This means the just over 100,000 inhabitants have US citizenship. Curiously, and in common with some other non-state US territories, citizens can vote in the presidential primaries, but not in presidential election itself. The Islands were known as the Danish Virgin Islands until 1917, when the US bought them for $25 million (paid in gold). The US Virgin Islands launched as a national football team in March 1998 with a 1-0win over their British neighbours. However, it should be noted that the three games against the British Virgin Islands in 1998, and 2011 remain the only wins in the team’s history. I am expecting Barbados to win both games, and USVI could drop to zero points on the FIFA rankings when the wins from four years ago drop off the list in July. Of the independent states in the Caribbean, St. Kitts and Nevis is the smallest in both population and land mass. In footballing terms, of course, there are some smaller dependent territories such as the Turks and Caicos Islands. St. Kitts and Nevis became independent from the UK in 1983, and could have separated further in 1998 when the population of Nevis voted in favour of breaking the union, but did not achieve the required two-thirds majority. St Kitts and Nevis played their first international games in Caribbean qualifying games in 1979, when they played Jamaica twice – both away – and lost both by 2-1. It would be ten years before they tried again, this time losing a single match to Trinidad and Tobago by 2-0. In 1991, they played two games in the Cayman Islands, drawing with both their hosts (1-1) and the British Virgin Islands (0-0). The Cayman Islands beat Montserrat to qualify. St Kitts and Nevis played on home soil for the first time in 1992, and recorded their first win, a 4-0 victory over British Virgin Islands. They followed this up with a 10-0 victory over Montserrat. However, the only goal they conceded in this qualifying ground turned out to be crucial, as it was a single goal defeat to Antigua and Barbuda that put them out. The following year, St Kitts and Nevis also staged a home qualifying group, drawing 2-2 with Dominican Republic in the first game. The Dominicans beat British Virgin Islands 3-1 in game two, leaving St Kitts and Nevis with a target to reach the finals for the first time. A 5-1 win over BVI meant this was achieved with a little to spare. The finals were in Jamaica and St Kitts and Nevis were grouped with the hosts (lost 4-1), Puerto Rico (won 1-0) and Sint Maarten (drew 2-2). This meant they reached the semi-finals where they were beaten (on penalties) by Martinique. They also lost the third place play off to Trinidad & Tobago. The first attempt at the World Cup was in 1996, ahead of the 1998 finals. They played St. Lucia over two legs, winning the home leg by 5-1 and adding a 1-0 away win two weeks later. They ended that cup unbowed and unbeaten, as in the next round they were playing St. Vincent and the Grenadines. James Alexander Gordon should have been made to read out the second leg result. St Kitts and Nevis nil, St Vincent and the Grenadines 0. Aggregate 2-2 – St Kitts and Nevis go out on away goals. No qualifying for the 1997 Caribbean Cup and St Kitts and Nevis were to stage half the finals tournament. Antigua and Barbuda shared duties. In group games, St Kitts and Nevis beat Martinique 2-0, and then lost 3-0 to Trinidad & Tobago. T&T had lost to Martinique in the opening game, but Martinique went out, and St Kitts ended up in second place. As a result, they stayed at home for a semi-final against Grenada, while T&T crossed islands to play Jamaica. St Kitts beat Grenada 2-1, but did not get home advantage for the final itself, where Trinidad beat them again, this time by 4-0. Since then St Kitts and Nevis have twice more played in the group stages of the Caribbean Cup, but not in any of the last six tournaments. Back to the World Cup, where St Vincent and the Grenadines beat them again in 2000, this time winning both matches – St Kitts and Nevis had earlier beaten their opponent for this year, Turks and Caicos Islands by 8-0 and 6-0 (staging both games at home). In 2004 (qualifying for 2006), St Kitts and Nevis won in two knock out ties – firstly home and away over US Virgin Islands (agg 11-0) and then winning twice against Barbados (agg 5-2). This placed them in a group of four with St Vincent and the Grenadines, Trinidad & Tobago and Mexico. [Mexico do not need an &]. St Kitts lost all six games, and switched the home game against Mexico (they were already out at this stage) to play in Miami, where they were rewarded with a crowd over 18,000. This is more than double the aggregate attendance from the four home games played before that. Despite the away leg being switched to Guatemala, Belize proved to strong in 2008, winning 3-1 in that game and drawing the leg in St Kitts to go through. Last time out, St Kitts and Nevis had a bye until group games as there was only one knock out round and only ten teams were involved. St Kitts drew all three home games in a group with St Lucia, Puerto Rico and Canada. They also drew in Puerto Rico and won in St Lucia. This was not enough though – they lost 4-0 in Toronto and finished third in the group. The Turks and Caicos Islands are still a British Territory, and have a population of just 31,000. IN footballing terms, they are an infant nation. I refer to the website at www.eloratings.net when compiling these stats. This is because the site has a reputation for accuracy and presents the scores in an easy to read fashion. They do include some matches that FIFA ignore as they are against non-FIFA nations. Still, the ELO Ratings show only 17 games for the Turks and Caicos Islands, with only two games at home. As it happens, these are the home legs in qualification attempts at the last two World Cups. They lost 4-0 at home to the Bahamas in July 2011, (and 6-0 away a week later). However, there other home game was a win over St Lucia in February 2008. With a 2-1 home win, they went down 2-0 away to drop out. Turks and Caicos also played in qualification for the 2002 and 2006 World Cups, but as I have already mentioned, they conceded home advantage and played both games away to St Kitts and Nevis in 2000, losing 14-0 on aggregate, while four years later both games against Haiti were played in the USA. Haiti winning 7-0 on aggregate. The first ever games for the Turks and Caicos Islands were in February 1999, in qualification for the Caribbean Cup. Two matches both played in the Bahamas, with the hosts beating them 3-0 in T&C’s first ever game, followed by their only ever draw, 2-2 with the US Virgin Islands. The Turks and Caicos Islands have a habit of either not entering, or withdrawing without playing in the Caribbean Cup, so they have only entered qualification games in 1999, 2007 and 2014. They have never lost every game in these qualifying tournaments, and in September 2006 (for 2007 tourney), they lost to Cuba and the Bahamas (in Cuba), but beat Cayman Islands 2-0; while last summer in Aruba, they lost to Aruba and French Guyana, but beat the British Virgin Islands. This win is their most recent international, but has shot them up the FIFA rankings as they now have 66 points. Prior to the match, they were tied in last place on the list. St. Kitts and Nevis are expected to get through without a problem, to play El Salvador in the next round. Nicaragua are one of two central American teams starting in this round, and by far the biggest of the states at this stage. The country is part of the Central American Isthmus and borders only Honduras to the North, and Costa Rica to the south. Nicaragua has a population around 6 million, and apparently started their national footballing career with a 9-0 defeat by El Salvador in 1929. This match does not appear on the ELO records, but their second game, 12 years later does. This was a 7-2 defeat in Costa Rica in the CCCF Championship of 1941. They lost a further 10 matches over the year in the same competition before beating Panama by 2-0 in 1946 to record their first win. Nicaragua did not play a home game until 1975, when they beat El Salvador in an Olympic Qualifying game, although the 2-1 score was not enough to overturn the 4-0 defeat in the first leg. In the World Cup, Nicaragua first entered the 1994 competition, playing El Salvador home and away two years before the finals. They conceded five goals in each game, scoring once in the away leg. By the time of the 2010 World Cup, Nicaragua had played 12 World Cup matches, and managed one draw against St Vincent and the Grenadines, even then losing 4-1 away. Hence there 2-0 win in Dominica in 2011 ahead of the last World Cup may have been something of a surprise. Nicaragua won the return game 1-0 as well, but sandwiched these with two defeats to Panama. Nicaragua only played two opponents as the Bahamas withdrew without playing. The last competitive fixtures for Nicaragua was last September in the UNCAF competition, which double as qualification for the CONCACAF gold cup. The games were not played in the region, but in the USA and Nicaragua lost to Costa Rica, Panama and Honduras. Anguilla are a British Overseas Territory, and are home to just 13,500. In 1991, they played Montserrat in their first football game. The match was a Caribbean Cup qualifier in St Lucia and was drawn 1-1. They lost to St Lucia 6-0 two days later. Anguilla did not win a game until February 2000 when they won a friendly in the British Virgin Islands by 4-3. Still they played a second friendly two days later at the same venue and lost 5-0. Between then and last month, the only other official match won was over Montserrat a year later in a Caribbean Cup Qualification game in Saint Martin. Saint Martin play in CONCACAF competitions, but are not FIFA members, so neither the match which they lost to St. Martin just after their win over Montserrat, or their win over the same opposition in Puerto Rico in 2010 count for the FIFA rankings. Still, Anguilla will boost themselves a little by arranging two friendly games at home to British Virgin Islands less than a month before the World Cup games. Anguilla won both these, by 1-0 and 3-1. Surely a boost to confidence after three heavy defeats in the last series of Caribbean qualifiers, (last September). In the World Cup, Anguilla have entered in the last four competitions. While in each series, they were knocked out in the first round of two legged games, only their first World Cup game, a 3-1 defeat by Bahamas was actually played at home. Playing the Dominican Republic in both 2000 and 2011, they chose to play both games away, while the 2008 “home leg” against El Salvador was played in the USA. It was only in the two games in the first attempt, when they played Bahamas, that Anguilla scored World Cup goals, but they lost both games. Still in the first of the two matches in the Dominican Republic in 2000, they managed a scoreless draw. The Bahamas became independent from the UK in 1973, and currently has a population of around 320,000. Wikipedia says that the Bahamas Football Association was formed in 1969, but joined FIFA in 1968- which is an unlikely state of affairs, hence I am more inclined to believe FIFA, who state the BFA were formed a year before joining FIFA. Wikipedia has the Bahamas as losing 8-1 to Netherlands Antilles in Panama, 1970. ELO Ratings do not mention them until 1974, when they beat Panama in the Dominican Republic, part of a series in the Central American and Caribbean games , which they followed with defeats by the Dominican Republic and Bermuda. This is the sixth World Cup for Bahamas, but their first entry came to nothing as they withdrew without playing the games drawn against St. Kitts and Nevis. I have already mentioned the first two games actually played – when they beat Anguilla in each of two games in March 2000. The Bahamas played Haiti the following month, losing 9-0 away, and 4-0 at home. In 2004, Dominica conceded home advantage, so Bahamas played at home twice. While Bahamas drew 1-1 in the first game, they lost the second by 3-1. In March 2008, they played both qualifying games against the British Virgin Islands at home. Fortunately for the Bahamas, the first leg was the home game (1-1), so by drawing again in the second leg (2-2), the Bahamas went through to play Jamaica. This time it was the Bahamas who gave up home advantage and they lost 7-0 and 6-0 in the two games. Oddly, they won both the last two World Cup games, 4-0 away and 6-0 at home to the Turks and Caicos Islands. Despite this good start, they withdrew without playing the group games of the next stage, when they could have played Nicaragua, Panama and Dominica. They have also been absent in the recent runnings of the Caribbean Cup, so they have not played since the games against T&C in 2011. With a population of 64,000; Bermuda is the most populous of the British Overseas Territories. Bermuda have produced a number of well known players in the English Leagues, with Clyde Best and Shaun Goater the best known. From 2006 to 2013, the Bermuda Hogges entered in the Premier Development League, a fourth tier league in the USA. The team was part owned by Shaun Goater. The National FA were formed in 1928, and they affiliated to FIFA in 1962. Their first game, was a friendly in Iceland which they lost 4-3. In 1967, they won an away Olympic qualification game in the USA. Again, they did not push on in the next tournament. Instead they withdrew after drawing to play Trinidad & Tobago. Bermuda were unbeaten in the 2002 competition, with two wins over the British Virgin Islands, followed by two draws against Antigua and Barbuda. As the home leg was 1-1 after 0-0 away, Bermuda went out on away goals. Similarly four years later, they easily overcame Montserrat (20-0 on aggregate), and then narrowly beaten by El Salvador (4-3 aggregate) and in 2008 they won away legs in matches against both Cayman Islands and Trinidad & Tobago. In the first round they had drawn the home game, so sent through but T&T beat them in Bermuda and went on to the group stage. Finally, they started with group games in 2011 – and played four at home after Barbados conceded home advantage. They still went out, but not far behind Guyana and Trinidad and Tobago – the defeats in these two countries were their first two games. Bermuda start as narrow favourites to go through to the next round, which would mean matches against Guatemala. For the right to play Cuba. It may be well over three years before the 2018 World Cup fills our TV screens, but the tournament is just about to start in some of the lesser known footballing corners of the world. FIFA now has 209 members, one up on the numbers available for the last World Cup, and for the first time ever, all the members are believed to be entering into the draws. I am saying believed to be, as the qualifying draw does not actually take place until 25th July. When the draw takes place, for countries in Europe it will still be a year before they start the new round of matches, as the 2016 Euros are completed first, but this is not the way of the rest of the world, where the playing of Continental and World competitions are mixed (and in some cases combined). So you may ask. If the qualifying draw takes place in July to reduce the 209 countries in the World Cup to the 32 finalists, why am I starting to write in February. The reason is simple. Even before the July draw, the effort to pare down the numbers will have started. The North, Central and Caribbean American Association (CONCACAF) drew its first two rounds back in January, while the Asian Football Confederation (AFC) made its draw this month. Both areas will start with two legged knock out games in March. Before I get onto the draws, which of course mean little except local pride – as they involve a few teams with no hope of being in the final 32 beating other teams with no hope of qualifying, I want to bring FIFA’s headline number to the fore. FIFA has 209 member associations, which makes it the largest international organisation in the World. The United Nations only has 193 members, which means to all intents and purposes there are only 193 countries in the World. We all know one of the major difference, the United Kingdom of Great Britain and Northern Ireland is represented as a single member of the United Nations, but it has four members of FIFA competing separately. But this is not the end of the British involvement in the World Cup. Britain still has remnants from its empire. There are fourteen British Overseas Territories that for various reasons have not become independent states, or parts of other independent states. These territories are not independent, and so do not have their own representation at the United Nations, but six of them are FIFA members. The six are mainly Caribbean based, and all members of CONCACAF. They are Anguilla, Bermuda, the British Virgin Islands, the Cayman Islands, Montserrat and Turks and Caicos Islands. Hence the country (by United Nations standards) known as the United Kingdom has no less than ten FIFA members. The British are not the only nation with old empires or other associations. The USA accounts for two more members of CONCACAF, in the form of the US Virgin Islands and Puerto Rico. Both have a status that stops short of making them full states, but gives the islanders US Citizenship. The USA also lays claim to two of the Pacific Island “nations”. Guam (which is a member of the Asian Confederation) and American Samoa (Oceania). Also in on the act are the Chinese. The two special administrative areas, Hong Kong and Macau had become members of FIFA long before administration returned to China in the last years of the 20th century. The change of sovereignty from Britain and Portugal to part of China has not changed their status with FIFA and they still run as independent members – both are part of the Asian Confederation. The fourth Chinese member is a matter of political fudge. Back in the 1970s, the United Nations accepted the political reality that China existed, and was not a province of Taiwan, (which refers to itself as the Republic of China). The situation ever since is that Taiwan has been effectively a self governing state, it has always fallen shy of calling itself independent, while the Chinese always claim Taiwan as part of their nation. It is something of a diplomatic faux pas to show an outline map of China which does not include Taiwan, as shown by the London Olympic Committee when they made the mistake, and were forced to quickly apologise. The Netherlands accounts for two more of the Caribbean territories in Aruba and Curacao. Newcastle United’s Dutch International Vurnon Anita was born on Curacao and could have played as an international there, but for some reason, having moved to Europe at the age of eight, he has chosen to play for the Netherlands instead. The French also have two island groups, New Caledonia and French Polynesia, both of which are members of the Oceania Football Confederation. French Polynesia is normally referred to as Tahiti for football. These leaves two final FIFA members which are considered parts of other nations, in the Cook Islands (Oceania) which is affiliated to New Zealand, and the Faroe Islands (UEFA) which is still part of Denmark. That leaves one special case – Palestine. Palestine has some representation at the United Nations, but is not a full member state. As its neighbour, Israel has conveniently and politically aligned itself into UEFA, (there is no definition that includes the area within Europe), there is no argument with Palestine being a member of FIFA. They joined in 1998 and have taken part in international competition ever since, even though they had to wait until 2008 to play a home match. Stopping for a moment, let’s do the math. I originally stated there were 209 FIFA members, compared to 193 in the United Nations. I then quoted 10 British members of FIFA, (compared to a single UN member), and four for USA, three for China, two for the Netherlands and France, one each for Denmark and New Zealand in addition to the nation at the UN. With the addition to the list of Palestine, I have enumerated 24 FIFA members who are not UN members, and only one (United Kingdom) the count in the opposite column. In other words, I have counted too many additional nations. This means that dotted around the World there are seven recognised nations, members of the United Nations which are not members of FIFA. As it happens, six of the seven are island groups in the Pacific Ocean, and grouped together, the population is barely more than 300,000. These are Kiribati, Marshall Islands, Micronesia, Nauru, Palau and Tuvalu. The seventh is a slightly different case, being situated in Europe, and having a football team in one of Europe’s major leagues. This is of course, Monaco. The leading team from Monaco plays at the only football field in the principality and in the top division of the French League. Monaco has decided not to attempt to join UEFA in order to ensure the status of their club. This is despite the example of countries such as Wales, San Marino, Liechtenstein, and Andorra – all of which have teams in the leagues of neighbouring countries, while fielding their own national team and having local competitions for entry to European Club competitions. Monaco’s main club competition is played between company teams, with some games played on a small ground across the road from the Stade Louis II. The road is however the border between Monaco and France. So the matches are actually staged in France. The other ground I know to be used also abuts the border, but is on the French side, while Monaco’s reserve and youth teams also tend to use grounds in France. There is no sign that Monaco will attempt to change their status in International Football at any time in the near future. The Vatican, for those who wonder has observer status with the UN, and hence is not a member of either organistation. Gibraltar’s status as a member of UEFA, but not of FIFA is not at all unique. With the exception of CONMEBOL, the South American Federation, all the Federations that makeup FIFA have some members that are not also part of FIFA. Some are associate, rather than full members which does limit them to regional, and possibly continental football. For UEFA, Gibraltar is the only oddity. The other 53 member states are all full members of FIFA as well. The home nations all compete in the Olympics as the United Kingdom, a team that would include any Gibraltarian Olympians. The Faroe Islands also does not have an Olympic team, being Danish in this regard. CONCACAF has six members who are not FIFA affiliated. They are all in the Caribbean, and are Bonaire, French Guiana, Guadeloupe, Martinique, Saint Martin and Sint Maarten. French Guiana, Martinique and Guadeloupe are all French territories with clubs actually playing in the French Cup, (along with the two French territories mentioned in Ocenaia). Saint Martin is also French and shares an Island with the similarly named Sint Maarten. Sint Maarten and Bonaire both remain parts of the Netherlands. None of these six, all recent additions to CONCACAF are members of the IOC, (International Olympic Committee), and four more of the dependent territories, Anguilla, Curacao, Montserrat and the Turks and Caicos Islands lack direct Olympic representation. Africa has two associate members who play only in regional competitions. They are Reunion, a further French territory which enters a team in the French Cup and Zanzibar – the latter is a semi-autonomous region of Tanzania (which includes a good portion of people who might like full independence). Mayotte, which also has a team in the French Cup does not enjoy even associate status. Reunion and Zanzibar are also not members of the IOC, South Sudan, which is the most recent addition to membership of both the United Nations and FIFA is not as yet a IOC member. It was represented by a single runner at the London Olympics, Guor Marial, who was listed as an Individual Olympic Athlete and finished 47th in the men’s marathon. Asia has one associate member, the Northern Mariana Islands. The NMI are, like Guam, territories of the USA. The actually changed affiliation from Oceania in 2009, having joined the East Asian Football Federation a year earlier. 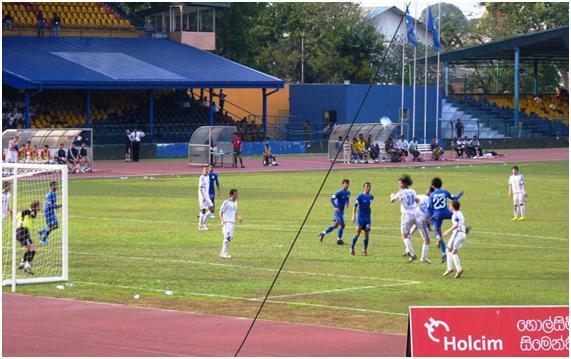 The Northern Mariana Islands recorded their first ever victory, a 2-1 win over Macau in an East Asian FF Qualifying game in 2014. They also played in the qualifying competition for the AFC Cup (a second ranking Asian competition, now disbanded) in 2013. As the World Cup and Asian Cup qualification procedure is being merged in Asia, there was speculation that NMI would take part in a World Cup qualifying, although they could not qualify. There is a precedence for this, as the Pacific Games used to be used as part of the World Cup qualification procedure even though it included non FIFA affiliated countries. In fact the practise of using the Pacific games as part of the World Cup qualification regime was ended not because of the inclusion of non-FIFA members, but because of the inclusion of Guam – a member of the Asian Football Confederation. Oceania itself has three associate members, Tuvalu and Kiribati are both independent countries and members of the UN, so I have no doubt they could move up to full member status and join FIFA if they wanted, as could those four other UN members already mentioned, Marshall Islands, Micronesia, Nauru, and Palau. It is surprising that the OFC does not try to push their membership through, as increasing the number of countries (and hence number of votes in FIFA congress) may not actually do anything to improve football on these Islands, but could help them to get a full slot in the finals, rather than one play off slot. The final member of Oceania is Niue, which like the Cook Islands is a generally autonomous state, but “I association” with New Zealand. Niue’s best ever football result was a 14-0 defeat by Tahiti in the 1983 Pacific Games, their worst result was a 19-0 defeat by Papua New Guinea on the following day. The first two days of September 1983 representing their entire international football history. Although CONCACAF put out is draws first, it will be in Asia that the first matches are played. For reasons of their own, the AFC are not using recognised international dates, but are scheduling the two legged games on 12/17 March. Unless home and away matches get switched, all the home teams are seeded. IN Asia, the seeding tends to be meaningful, even if they are derived from FIFA rankings, as there tends to be a significant difference in quality as one drops down the rankings. I would not be surprised therefore if all five seeded teams got through, and I would certainly be surprised if more than one of the lesser teams broke ranks and qualified. I am putting the FIFA rankings (as at February 2015) in brackets. The draw was done using January 2015 seedings, which is poor news for Nepal and Pakistan, both of which rose up the rankings, and would have been seeded (in place of Chinese Taipei and Timor Leste) had the draw taken place later. Known in English as East Timor, Timor Leste first tried to declare independence (from Portugal) in 1975, but was then invaded by Indonesia, which took control for the next 27 years. They finally became independent in 2002, the first “new country” of the 21st Century. They made their footballing debut in qualifying games for the Asian Cup. This was in a group of three teams, with all matches played in Sri Lanka. East Timor actually went ahead three minutes into their first international, through an own goal by Mohammed Hamza. Falling behind, an East Timorian, Cabral scored an equaliser for East Timor, but it was not enough as Sri Lanka scored in the 89th minute to win the game. Timor Leste lost their other game in the series to Chinese Taipei (3-0). Timor Leste sat out the 2006 World Cup qualifying, but entered a team for 2010. With the home stadium not suited for playing, they travelled around 700 miles to play the home leg on the Indonesian Island of Bali. Playing Hong Kong, they again lost 3-2, and then a week later went down 8-1 at the Hong Kong Stadium. In all, they lost their first 13 straight international games before drawing against and in Cambodia, in an ASEAN regional qualifying game in 2008. The score was 2-2. IN the summer of 2011, the World Cup came along with a pair of games against Nepal. This time they elected to play both games, just three days apart in Kathmandu. Both games were lost, with an aggregate of 7-1. East Timor have had some limited success in the 2012 and 2014 qualification games in South East Asia. The 2012 matches were played in Myanmar, and East Timor beat both Cambodia (5-1 no less) and Laos, while in 2014, playing in Laos, they gained a 4-2 win over Brunei, and a 0-0 draw with Myanmar. To date, East Timor have drawn 2 and won 3 of their 32 international games, (using the ELO Ratings database). East Timor’s World Cup record is four matches played, all lost. The National Stadium in Dili has played host to Kylie Minogue, but not yet an international football match. Hence, the game on March 12th, is not merely the start of the World Cup, but also the historic first international game at the venue. Mongolia’s debut on the International Football Scene was in 1960, when they played in a tournament in North Vietnam, losing three games to North Vietnam themselves (3-1), China (6-1) and North Korea (10-1). They then took a short sabbatical, not playing again until the 1998 Asian Games in Thailand, where they lost two games, to Kuwait (11-0) and Uzbekistan (15-0). Mongolia’s World Cup debut was in 2001, in Asian qualifying for the 2002 World Cup. They were in a group of four teams, with all matches played in Saudi Arabia. Mongolia had to play Saudi Arabia, Vietnam and Bangladesh (in that order) twice. After five defeats, Mongolia had lost all, without a goal and conceded 20 goals. The sixth game was a 2-2 draw against Bangladesh (neither of which could go further). This was the first time Mongolia had avoided defeat. In 2003, they won an East Asian Qualification game by 2-0, their first ever win. In the last three World Cup’s Mongolia’s participation has been limited to a two-legged first round game – played nearly three years before the finals. In 2003, a 1-0 home defeat to Madives was the first official international played in Mongolia, they lost the second leg by 12-0. Four years later, Mongolia lost 9-2 on aggregate to North Korea, and last time out Myanmar beat them, but the aggregate was just 2-1, and Mongolia won the home leg 1-0. Mongolia’s World Cup record is 12 games played, with one win and one draw. East Timor are seeded to get through to the next round, but climate may be all important. East Timor is still within its wet season, not as hot as it can be but humid and sticky, by comparison they can expect dry and sunny weather in the return leg, and if they are lucky the temperature may rise above freezing point. India actually qualified for the 1950 finals in Brazil. However, two caveats apply. Firstly every one of their potential opponents in Asia and Oceania (Australia, New Zealand, Burma and Indonesia) withdrew so India qualified without playing, and secondly, India themselves withdrew without playing in Brazil. The myth is that this was because FIFA had banned barefoot football, but in reality it was more to do with the expense of the trip, and the feeling that the FIFA World Cup was secondary to the Olympics. India also entered the competition in 1974, but withdrew without entering the draw, so it was 35 years after they could have played in the finals, when the opened their world cup account in the qualification rounds for the 1986 World Cup. Krishanu Dey scored India’s first world cup goal, to put them 1-0 up against Indonesia in Jakarta, but in front of a 70,000 crowd, they succumbed to a 2-1 defeat. India played two more away games – a draw in Thialand and a win in Bangladesh before starting their home campaign – by this time Indonesia had played five of their six games, and picked up four wins (2 points for a win in those days), so India needed to win all three games to reach the next round. It was not to be, as Indonesia took an early lead in the first game, and despite a late equaliser, India could not turn the game around as Indonesia had at home. Perhaps this was down to the crowds – the Salt Lake Stadium is known to regular see 80,000 watch Kolkata derbies, but for this game, only 10,000 turned out. The matches against Thailand (draw) and Bangladesh (won) were seen by even lower turnouts. For the 1990 World Cup, India were drawn in a five team group with South Korea, Singapore, Malaysia and Nepal. Home and away was abandoned, in favour of a series of games in Seoul, followed by a return series in Singapore. India thought better of this, and withdrew without playing. They were back in 1994, and have played in every World Cup since, but they have never got out of their first group, or won a two legged qualification game. India have won eight and drawn 10 of their 33 World Cup games to date. Their last outing, in July 2011 was a two legged game against UAE, with India going down 3-0 in the away leg, so the 2-2 draw at home would only be a consolation. India enjoyed some success in early Asian Cup and Asian Games, (when the number of entrants were much fewer than today). They were runners-up in the 1964 Asian Cup in Israel, where the lack of contestants meant qualification was not required, and won the Asian Games tournaments in 1951 (home soil) and 1962 (Indonesia). In recent years they have had to content themselves to success in the South Asian Football Federation regional tournaments, India have reached the last five finals, winning three and are likely to stage the 2015 edition. They also staged the AFC Challenge Cup (a now disbanded competition for second ranked nations) in 2008, and by taking the title, they were given a place in the 2011 Asian Cup, where they failed dismally. This was the only time they reached the finals in the last 30 years. The most recent competitive result was the final of the 2013 SAFF Cup in Kathmandu, where they lost 2-0 to Afghanistan. Nepal, who India play in their opening game also have a World Cup pedigree dating back to matches played in 1985. Nepal had joined FIFA in 1970, and the AFC two years later, but did not start to appear in the major tournaments until the 1980s. Nepal made their World Cup debut in 1985, when they lost 2-0 at home to South Korea. Two weeks later, Malaysia were held 0-0, again in Kathmandu. Nepal lost both away games, 5-0 in Malaysia, and 4-0 in South Korea. Four years later they lost all six games, and again did not score in attempting to qualify for the 1990 World Cup. Not surprisingly, they sat out the 1994 tournament. They also sat out qualification for 2006 (withdrawing after the draw was made – avoiding a match with Guam, who in turn also withdrew without playing). The first goal and second point was in the qualification for 1998, a 1-1 draw with Macau, while four years later they beat Macau twice (matches played in Kazakhstan) while losing the other four games in the group. With the change in recent years to two legged matches at the start of the competition, Nepal drew Timor Leste, (East Timor to you and me) in the last World Cup. This gave them the advantage of an opponent without a suitable ground, so both matches were played in Nepal. Nepal won both of these, 2-1 and 5-0, and even drew the home match of their second round game against Jordan. This of course was immaterial, as the first leg was played in Jordan, and Nepal were 9-0 down (lets repeat that in teletype fashion – nine) from the first leg. Overall, Nepal have won 4 of their 28 World Cup games, and drawn three. The first leg of the games will be played in the Indira Ghandi Stadium in Guwahati, North Eastern India. The stadium has been recently renovated and used for the home games of North East United in the recent Indian Super League. Reports suggest sizable and vociferous crowds, which is what India will be hoping for. The second leg, five days later will be in Kathmandu at the Dasarath Rangasala Stadium. Cambodia have been playing International Football since 1956, playing as Khmer or Khmer Republic before switching to the name of Cambodia. They opened with a home game against Malaya in qualifying for the Asian Cup. They lost this 3-2, and the return leg in Malaya by 9-2. They were regular participants in Malaya’s annual Merdeka tournament, gaining the occasional draw, and finally started to win games in 1967, playing a group of Asian Cup qualifyers in Burma (now Myanmar). They then beat India 3-1 and Pakistan 1-0, but lost to the hosts by 1-0. For the 1972 Asian Cup, they actually won through qualification, playing in the finals for the first and only time. They beat Kuwait to reach the semi-finals of what was just a six team finals tournament. They lost the semi-final to Iran (the eventual winners) and the 3rd place play off to hosts Thailand. Cambodia’s opening World Cup was in 1997, playing in a four team group searching for places in France the following year. The games were home and away and they started poorly, losing 8-0 to Indonesia in Jakarta. They got a point from the return game, but lost home and away to both Uzbekistan and Yemen. It was a similar story in 2001, trying to get to the Japan/South Korea World Cup. Cambodia managed to draw one home game (1-1 v Maldives), but they had already been beaten 6-0 in the Maldives, and went on to lose twice to each of Indonesia and China. Cambodia did not play in the qualification for Germany 2006. They lost twice to Turkmenistan in 2007, while in the last World Cup, they beat Laos in the home game, by 4-2 – but were 4-2 down after 90 minutes of the return in Vientiane. Two extra time goals gave Laos the second round game against China. Cambodia’s last competitive matches were also in Laos, in qualifying for the 2014 South East Asian Championships. Cambodia win two (against East Timor and Brunei), and lost two (against Laos and Myanmar). Macau played their first international, at home to South Korea in 1949. They lost 5-1. The second attempt was at home to Australia, some 21 years later. Macau lost 9-0. Five years later, they tried again with Panama is the rather surprising choice of visitor. This was Macau’s first win, by 2-1. Competitive football started with Asian Cup qualification matches in the Philippines, with the opening game on Christmas Day 1978 ending in a win for South Korea. They then lost to China as well, but beat the hosts in the final game of the series. Their opening World Cup game was in 1980, playing for a place in Spain 82. Macau only had to make the short trip across the Pearl river to play three games in Hong Kong – again over the Christmas period. They lost each game by 3-0 to North Korea, China on Christmas Eve, and to Japan four days later. In 1985, playing for a place in Mexico 86, Macau were in a four team group with China, Hong Kong and Brunei. Hong Kong and Macau played standard home and away games, although the Brunei vs China games were played on neutral venues – one each in Hong Kong and Macau. Macau won both games against Brunei, but lost the rest. Macau sat out qualifying for 1994, but were back in the hunt for the 1998 World Cup. This time the group was against Saudi Arabia, Kuwait, Malaysia and Nepal. Nepal however withdrew without playing, and Macau lost all six games, scoring only once and conceding 46. These games were played in only two venues, so Macau played three games in Malaysia, and then three in Saudi Arabia. Four years later, the same format was used for a group including Japan, Oman and Nepal (who did turn up this time). The games were played first in Oman, and then in Japan. Macau drew their first game in Muscat, and won their last game in Tokyo. Both of these were against Nepal. The four games against Oman and Japan were all lost. Macau and Nepal were to meet again in the 2002 qualification games. Again neither were to play at home (although originally they were planning to play in Nepal). 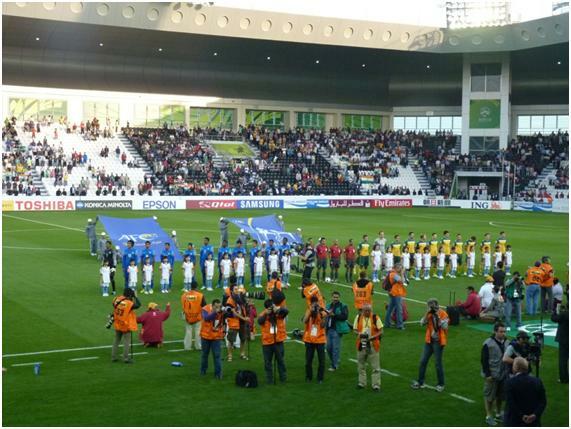 The other teams in the group were Iraq and Kazakhstan, with the first series of games in Baghdad, and the later series in Almaty. This time Macau lost all their games. As with the other teams I have mentioned, the last three World Cups have started (and finished) with two legged games. For Macau, the opponents in 2003 were Chinese Taipei (aggregate 1-6), then Thailand in 2007 (aggregate 13-2) and finally Vietnam in 2011 (aggregate in 13-1). Macau’s last competitive game was a 3-2 win over Mongolia in the East Asian championships preliminary qualifying. Having drawn with the tournament host Guam, and then losing to Northern Mariana Islands, Macau were already incapable of qualifying. Mongolia did still have an outside chance. The one advantage for Macau is as Northern Mariana Islands are not FIFA members, the match did not count against them in the FIFA Rankings. I have already mentioned something of the Taiwanese history. They have been playing international football in Asian tournaments since 1954. Indeed they entered into the 1954 World Cup, but withdrew without playing, the other two teams in the region, Japan and South Korea ending up settling the finals place in a two legged game. Similarly, four years later, they withdraw after being drawn to play Indonesia They then ignored the next four World Cups completely before finally trying their hand for qualification in 1977, ahead of the Argentina tournament the following year. In 1981, Australia, New Zealand, and Chinese Taipei were joined by Fiji and Indonesia, Chinese Taipei were defensively frugal, not conceding a goal in four home games, three of them draws, with Indonesia beaten by 2-0. All four away games, played in a 16 day period were lost. The qualification for 1986 saw another political misfit joining in. Chinese Taipei played against Israel, as well as their two old foes, Australia and New Zealand. No home games this time, as theu travelled to play two matches in each of the opposition countries, losing them all, and conceding 36 goals in the process. Nothing learnt from their relative success in the previous series. For the 1994 World Cup, Chinese Taipei were at least allowed into Asian qualification, in a group of five teams until Myanmar withdrew. Their other three opponents were Iran, Oman and Syria – this was a two venue group with the opening six games in Iran, then six in Syria. Taiwan lost all six of their matches, conceding 31 goals in the process. For 1998, the mix of opposition was more varied – Malaysia, Saudi Arabia and Bangladesh. Again it was a two venue tournament, with a series of games in Malaysia, followed by a series in Saudi Arabia. Chinese Taipei started with a 2-0 defeat to Saudi, (in Malaysia), but then beat Bangladesh by 3-1. Their third game saw them lose 2-0 to their hosts. A week later, they drew with Malaysia in Saudi, but then lost 2-1 to Bangladesh before crashing 6-0 to the second host. As Bangladesh only got points for beating Chinese Taipei, the Taiwan team avoided finishing bottom of the group. It was a similar story ahead of the 2002 World Cup, the group games were played first in Uzbekistan, then in Jordan, with Turkmenistan is the fourth team in the group. Chinese Taipei fell to six defeats and did not even score a goal, while conceding 25. You may have spotted it above – from the 2006 World Cup onwards the first round in Asia was a straight knock out game, and in November 2003, Chinese Taipei had to face Macau twice, winning the first match 3-0 at home, and then adding a 3-1 away win. The reward for this success was a group with Palestine, Uzbekistan and Iraq. Now all the Taiwanese home games were at home, but most of their travels were to alternates. They did play in Uzbekistan, but met Palestine in Qatar, and Iraq in Jordan. It almost goes without saying that they lost all six games. For the last two cups, the draw has been less kind, and Chinese Taipei have fell at the first hurdle, to Uzbekistan (11-0 aggregate) and then extremely narrowly to Malaysia. Malaysia won the first leg 2-1, and extended the lead twice in the first half, each time being pegged back to level on the day. With 15 minutes to go, Chinese Taipei took a 3-2 lead from the penalty spot. However, this turned out to be the final goal of the game, and they went out on away goals. The goalscorer was Xavier Chen. Chen was born in Belgium to a French mother and Taiwanese father, and played in the Belgium under-19 team. He was then persuaded to switch allegiance to Chinese Taipei, but apparently has played only one game for them. AT the time, he played for Mechelen in Belgium, but he is now playing in mainland China. Since then, Chinese Taipei has played in two East Asian Cup qualifying tournaments, and one for the AFC Challenge Cup – Each time they have managed a solitary draw but lost their other games. The last East Asian group was played in Taiwan, where they were beaten by Guam and Hong Kong. In the final match, they drew 0-0 with a North Korean side who had already secured the place in the finals later this year. Brunei’s world cup history is somewhat shorter. The country only became independent in 1984, after nearly a hundred years of being a British protectorate, (with a small gap when it turned out protectorate did not mean protected – at least against Japanese forces during World War II). Brunei have played in only two of the World Cup qualifying tournaments, attempting to achieve a place in the 1986 and 2002 finals. On both occasions they were placed in four team groups. These were groups with home and away matches, although while Brunei did indeed play both Hong Kong and Macau both home and away in 1985, they did not play either in Brunei or China for their games against the Chinese – instead these were played one each in Hong Kong and Macau. Incidentally, both Hong Kong and Macau visited Beijing, with Hong Kong winning their game there, and in doing so both qualifying for the next round and causing a riot among local soccer fans, rather embarrassingly for the Chinese officials, who had to get the army out to restore order. Anyway, back to Brunei, who did not enter in the next three World Cups, but returned to the fray in a bid for a place in the 2002 finals. The opposition was Yemen, India and UAE, and all six were lost, with Brunei not even scoring a goal, (they conceded 28). In fact, Brunei’s greatest success had come in 1999, just not in official internationals. A Brunei team had been playing against the states of Malaysia, and Singapore in a Malaysian competitions since the 1920s when all were part of the British empire. With a population much smaller than most of the states, Brunei were not generally known for their successes, even after Singapore (who frequently won the title) pulled out in the mid-nineties. In 1999, Brunei shocked the Malays with a win. They beat Sarawak in a match that to date is the only final for both teams, and the only time two teams from Borneo reached the final. (Sabah, the other Borneo team has lost on three occasions). 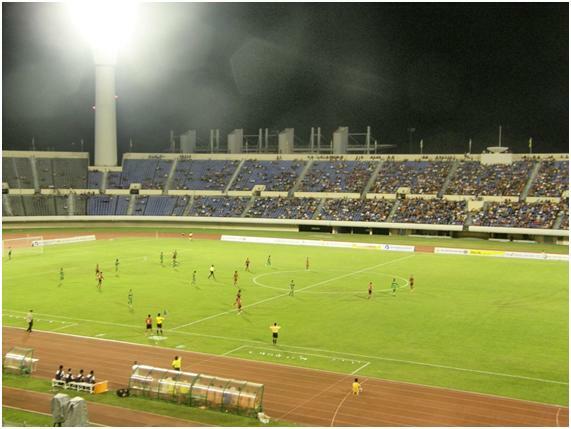 It was also the last final (to date) to be played at the historic Merdeka Stadium in central Kuala Lumpur. The team representing the Brunei FA was replaced in 2005 by DPMM, a team owned by their former goalkeeper (who just happens to be the Crown Prince of Brunei). Having sat out the 2006 and 2010 World Cups, Brunei found themselves under FIFA suspension due to “government interference with the football association”. The argument hinged on the fact the FA had been suspended (along with many other sporting institutions in Brunei) for not correctly submitting paperwork. This was one of the periods when FIFA was authoritarian on such issues (they have always been remarkably inconsistent over such things). Brunei’s authorities did not quickly resolve the dispute, despite the effect this had on DPMM who had almost completed a first successful season in the Singaporean S-League. They had already won the league cup. The situation was not resolved until late in 2011, well after World Cup qualification had started DPMM returned to the S-League in 2012, finishing as runners-up twice (2012 and 2014) and winning the league cup in each of those year. The head coach for 2014 was former Blackburn Rovers coach Steve Kean, and he also took on the national team for their four games in the South East Asian Cup qualification last October. This resulted in four defeats for Brunei at the hands of East Timor, Laos, Myanmar and Cambodia. Chinese Taipei should take this tie without too much difficulty. While Nepal may consider it unfortunate that they were not-seeded, when a draw that took place after the February rankings had been released would have been easier for them, Yemen have a similar problem from being seeded. It also shows the volatility of the seedings that win in a home friendly against Afghanistan pushed Paksitan 17 places up in the World rankings. Other more local issues also conspire against Yemen. Just ask yourself when the FCO ever considered the Yemen a safe place to go to. Certainly not for many years now. Yemen is one of the generally ignored hotspots of International politics, as it does not have the comparative oil wealth of its immediate neighbours. One result of all this is that there has not been an international game played in the Yemen since 2012, when Palestine won there in a friendly. Like South Yemen, North Yemen also started to play international football in 1965. In fact both territories debuted in the 1965 Pan Arab games in Egypt. South Yemen starting with a 14-0 defeat by the hosts on September 3, while their Northern counterparts went down 16-1 to Libya. Like the South, North Yemen entered for the 1986 World Cup and played in March and April of 1985. North Yemen’s World Cup debut was a home defeat by Syria, 1-0. They then lost 5-0 in Kuwait, and 3-0 in Syria before returning to home soil to wrap up the campaign with a 3-1 defeat by Kuwait. North Yemen did enter the 1990 World Cup and played Syria and Saudi Arabia in qualifying. They lost three games by 1-0, and the fourth (Syria away), by 2-0. The game in Saudi Arabia was the last game played as North Yemen. The first game for the United team was a 1-0 win in Malaysia, part of preparation for the 1990 Asian Games in China. At this time the captaincy of the side was rotated between players from North and South. At the games themselves, Yemen drew 0-0 with both Thailand and Kuwait before losing their third game, by 2-0 to Hong Kong. Next up was 1994 World Cup qualifying, with a two venue, five team group. Yemen’s first World Cup game was a 1-1 draw with Jordan, in Jordan, and they followed this up with a 5-1 thrashing of Pakistan. Iraq showed themselves somewhat stronger, and beat Yemen 6-1. Yemen then beat China 1-0, before heading to China for the second legs. Here they again drew with Jordan, and again beat Pakistan, but lost to both Iraq and China finishing third in the group. Only Iraq progressed. Four years later, Yemen beat Cambodia twice, and drew with Indonesia twice, but came second in a group where Uzbekistan beat them twice. This was a home and away group, as was qualifying for 2002, where they came even closer to getting through the first round. Yemen won two of their three home games, beating Brunei and UAE, and drew with India. Away from home, they also drew with India and beat Brunei, but lost to the UAE. India had an identical record, but UAE won four games (all the homes and Brunei away) to win the group by a point. Pakistan came into existence with the partition of the sub-continent in 1948. Their first international match was a friendly in 1950, when they went down 5-1 in Iran. Two years later they played a small tournament, the Colombo Cup in Ceylon (as Sri Lanka was then known), drawing first with India (0-0) but then beating both the hosts and Burma. They did not try for the World Cup until the 1990 edition, when they were grouped to play home and away games with Kuwait and UAE. Pakistan’s first Word Cup game was a 1-0 home defeat by Kuwait, they then lost both away games before scoring their first World Cup goal in a 4-1 home defeat by UAE.. I have already mentioned the 1994 campaign insofar as they lost both games to this year’s opponents, Yemen. Pakistan actually finished bottom of the group with eight defeats out of 8. They scored just twice. They increased the goals scored yet again for the next World Cup, going up to three. All three were scored against Iraq, two at home and one away, but Iraq were to hit 6 in each game. Kazakhstan also played in the group and put ten goals past Pakistan. In qualification for 2002, Pakistan were not to play at home, but only in Lebanon and Thailand. The fourth team in the group was Sri Lanka (now under current name). Again Pakistan increased their goal tally, reach five goals in the six games. Four of these were against Sri Lanka, including Pakistan’s first World Cup point from a 3-3 draw in Lebanon. Hence Pakistan gained their first draw in their 19th World Cup game. Moving onto knock out games, Pakistan played Kyrgyzstan over two legs in 2003, well ahead of the 2006 finals, losing both games aggregate of 6-0.They have since increased their run without scoring to three World Cups, but have managed draws in the away leg against Iraq played in 2007 (after losing 7-0 at home), and the home leg against Bangladesh in 2011 after losing the away leg 3-0. The “away” match to Iraq in 2007 was played in Syria – so this is not the first time Pakistan have been helped by problems abroad. Apart from Yemen not enjoying home advantage, the first leg being played in Qatar, Pakistan have gained moderate results in recent competitive games including wins over Macau and Bangladesh in 2013. This gives them hope that they may finally win a World Cup game, and actually win the round. Sri Lanka became independent from Britain, along with India and Pakistan in 1948. It operated under the name Ceylon until 1972. Their first international football matches where in the Colombo Cup (already mentioned for Pakistan) in 1952, when first India and then Pakistan beat the hosts 2-0. Although Colombo (when not detecting in a dirty raincoat) is the capital of Sri Lanka, the Colombo cup was not fixed to the city or country, and was played in Burma, India and Pakistan in successive years. It was in India, in 1954 that the Sri Lankans first drew with the hosts, and then beat Burma. Sri Lanka made their world cup debut in the qualifying games for 1994. They were drawn in a two venue five team group with games in Japan and the UAE. They also had to play Thailand and Bangladesh. Their first World Cup game was therefore a 4-0 defeat by UAE in Japan. No goals were scored in the 8 game series, 28 were conceded and all 8 games were lost. Bhutan, a small landlocked country in the Himalayas is the first country in the World to measure Gross National Happiness. According to Business Week magazine, it is quite good at this. Being rated the happiest country in Asia. Happiness does not require being defeated in early World Cup qualifying games, and as far as I know, this is only the second time that Bhutan have been included in the draw for the World Cup. On the previous occasion, 8 years ago, Bhutan were drawn to play Bahrain but thought better of the idea and gave their opponents a walkover. Bhutan first appeared on the football scene in 1982, with a 3-1 defeat in Nepal. They played 8 local games, all losses before going into hibernation for a dozen years. On their return they lost a few matches in the South Asian Cup and then entered the qualification rounds for the Asian Cup. This meant four games in Kuwait, with Bhutan scoring only in the last of these, an 11-2 defeat by Yemen, the group hosts beat them by 20-0. By June 30 2002, World Cup Final Day, the record of Bhutan in international football was simple. Played 20, Lost 20. Naturally they were bottom of the FIFA rankings. They also had never staged a home game. Then along came the Dutch advertising agency wondering who was the worst team in the World, (spurred on by the Netherlands failure to reach the 2002 finals). They decided to invite the lowest pair of teams of the FIFA World Rankings to play a challenge match. Montserrat accepted the challenge, but with their home crowd having been destroyed by a volcano, a single match in Bhutan was agreed. FIFA agreed to play this on World Cup final day, a few hours ahead of the main event. Wangay Dorji put Bhutan into the lead after five minutes as Bhutan took the initiative. It took more than an hour before the score was increased, Dorji scoring from a free kick. With Montserrat tiring at the end of the game, Bhutan eventually won 4-0 and Dorji completed his hat-trick. The referee was an Englishman, Steven Bennett. Bhutan did not exactly push on from this, losing all three games without scoring in the next South Asian tournament, but they had got the taste for staging the occasional home match, and were rewarded with the early qualifying stage for the 2004 Asian Cup. The opponents were Guam (beaten 6-0) and Mongolia (0-0) which put Bhutan through to the next stage. Six matches in Saudi Arabia in which Bhutan lost every won without scoring a goal. Bhutan’s third and most recent win was in the 2008 South Asian Cup, where they beat Afghanistan by 3-1 in Sri Lanka. Bhutan are now in last place of the FIFA rankings, the only team without a ranking point, which means they have lost every game played for the last four years – they have played 11 games in that time, but the run actually goes back 19 games since the win over Afghanistan. Despite their low rankings, Bhutan are actually unbeaten in home games. The three matches mentioned in this piece (two wins and a draw, no goals conceded) are in fact the only games they have played at home. I suspect Sri Lanka will gain enough of an advantage at home, that it will not matter if Bhutan can retain this status for the return game. You are currently browsing the Football Shaped blog archives for March, 2015.